1. They create contrast between up-lighting and down-lighting. Most of the fixtures in your system are going to be casting light upwards. These up-lights have the important role of illuminating trees, building facades, and architectural focal points like columns. Path lights cast light downward and create balance. Instead of causing the neck to crane upward, path lights provide the contrast that brings the eye back to a pleasing mid-point. 2. They act as the statement fixture. The majority of your up-lights may or may not be visible. Often times these are made to be somewhat inconspicuous. The idea is to have the ambiance of the light without the clutter of a million fixtures. Not so with path lights. Path light fixtures are the welcoming, statement-making stars of the system. The fixture bodies are typically more design forward and aesthetically pleasing allowing them to be a visible feature of the lighting system. 3. They emit a smaller amount of light than the other fixtures. Path lights equal ambiance. With bulbs in the one- to two-watt range, they provide just a little light in just a little area. You want this. This is good. This means that they won’t take away from the larger lighting design. Remember, you’re going for balance. Just a little light at ground level helps even out the rest of the system. 4. They make an architectural masterpiece out of any walkway or pathway. Are you a homeowner or property manager that has invested in a paved walkway, driveway, or other hardscape area? Allow us to introduce you to your new best friend. 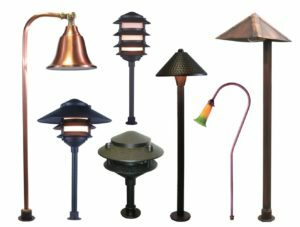 Up-lighting in a landscape lighting design may provide some coverage of these types of architecture, that is, you may experience some “spillage” of light onto the ground surfaces, but that isn’t the intention of up-light fixtures. 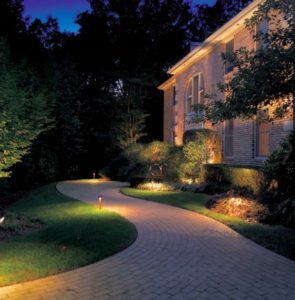 Path lights are designed specifically to illuminate these areas with just enough light to really set off hardscapes. They also act beautifully as a safety measure. 5. They tie into the same system as your other fixtures. This may seem like a no-brainer but it’s a question we get asked. 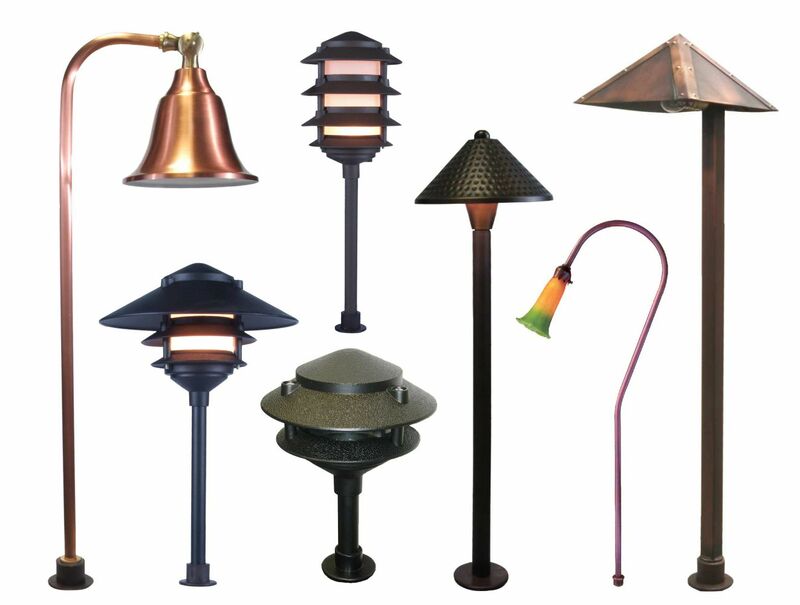 Path lights work on the same equipment and low-voltage lighting system as bullet fixtures, in-ground well fixtures, flood fixtures and other accent lighting. Ready to learn more about path lighting or add some into your existing system? Give us a call to schedule a free consultation. We welcome the opportunity to show what path lighting can do for any low-voltage landscape lighting system. Great article. Very informative. Thanks for posting.